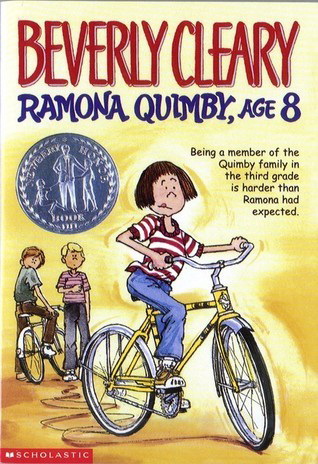 In this Newbery Honor Book from beloved author Beverly Cleary, eight-year-old Ramona Quimby's zest for life is infectious as ever. Whether speaking her mind to her third-grade teacher, or befriending her schoolyard bully, Ramona can't be kept down! Then one day an embarrassing incident in the classroom leaves Ramona completely humiliated. Can she bounce back from this one? Attend every day, in every grade. Watch this video on the importance of student attendance. Read at least 20 minutes every day. Visit this page to learn about the importance of reading and join Tennessee’s statewide literacy campaign Read to be Ready: Building Thinkers in Tennessee! Ask about homework; when parents ask about homework, students understand that it is important. Check out this website with its top 10 homework tips. You might be familiar with the seven-book series that centers on Ramona Quimby, her family and friends. This month’s book is perfect for beginning the new school year. In Ramona Quimby Age 8, Ramona is just starting her 3rd grade year at a new school. This story shares the funny, exciting things that come with the nerves, stress, and fear of beginning a new school year. I hope Ramona Quimby Age 8 is a terrific introduction to your school year, and remember that there are six additional Ramona books to read if you enjoy this month’s book of the month! Keep up the great reading, and I hope this year is your best school year yet! 1. Ramona Quimby is just beginning her 3rd grade year at a new school. How do you feel about starting school this year? Write down the top three things you are excited about. What are the top three things you are anxious about, and what do you think can be done to help calm your nerves? 2. Ramona is the star character of seven award-winning books by Beverly Cleary, as well as a television series. The books are sold in over ten countries and in a variety of languages. What do you think makes Ramona such a popular and relatable character? Describe her character and how her experiences relate to your life. 3. Ramona learns to get along with Willa. Is there anyone that you have learned to get along with in your life? What about you classmates at school? Why do you think it is important to get along with and be kind to others? How can you be kind to your classmates, friends and family this school year? 4. When Beezus and Ramona were eating dinner, Beezus knew all about healthy meals through studying the food groups at school. Did you know that healthy foods can help students feel heathier and perform better in school? Cut out pictures of food in magazines or newspapers. Next, plan out healthy meals by placing the pictures on a paper plate showing what healthy foods you might eat for breakfast, lunch, and dinner. If you do not have access to the materials for this project, talk about with your family what healthy meals you might like to eat this week.